No matter what time of year it is, anything can go wrong with your heating and air conditioning system at any time without warning. When you have a heating or air conditioning emergency, don’t just hire any repair person, hire a skilled, licensed and bonded HVAC service technician you can trust. 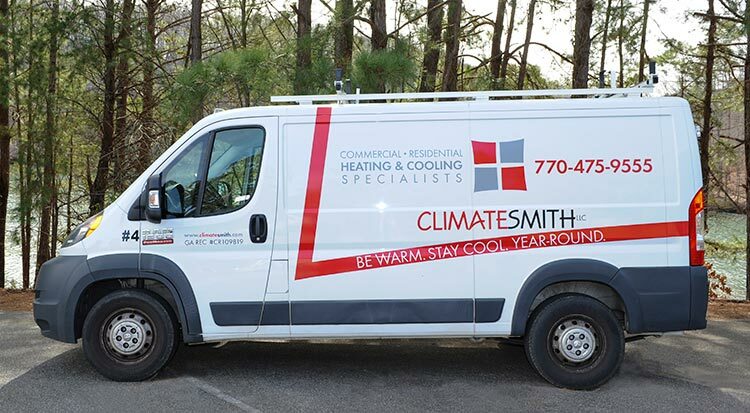 At ClimateSmith, we provide repair and installation services to clients in Alpharetta and the surrounding areas. We are dedicated to providing our customers with comfortable climate control systems for their home at a reasonable price. Our service calls consist of a comprehensive diagnostic of your system prior to performing any type of service or repairs. Once our technicians have determined what the problem is, then we offer you the full cost of the work that needs to be done whether it’s repair or installation of a replacement air conditioning system. When the cool winter months arrive, we will make certain your home is feels warm and cozy. Our technicians are experts when it comes to heating repair and installation of gas and oil boilers, radiant heating, and forced warm air. During the sweltering hot summer months and even the warm days of fall, winter and spring, having a AC system is crucial. At ClimateSmith LLC, we service and install central air conditioning, repairs and replacements. We also provide Bryant AC system repairs and Lennox AC repairs to our customers. Our goal is to help convert your home into a cool and comfortable environment. Contact Us Today For HVAC Service! When you need your heating, ventilation or air conditioning repaired or any other HVAC services, give us a call or contact our Residential HVAC Service through email. We guarantee quality results and your complete satisfaction. We look forward to hearing from you!